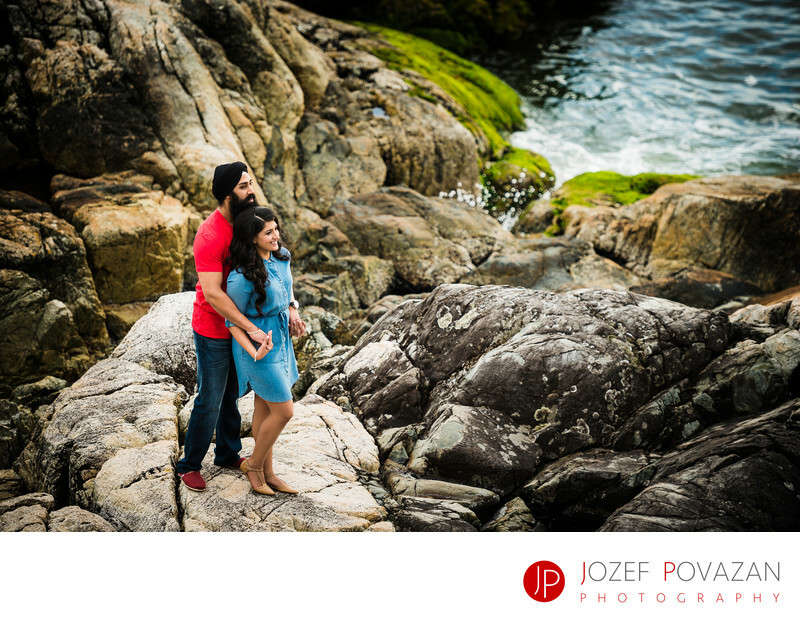 Lighthouse park Indian Sikh engagement fun, modern pics - Best Vancouver wedding photographer Jozef Povazan Photography studio. Lighthouse park Indian Sikh engagement with Raman and Sharan was filled with fun and easy going atmosphere. Guys had two outfits one more casual and the other classy but not too pushy for outdoor session. Scenic and epic portraits is how I saw this e-session. Down to earth couple was a joy to photograph. Cliffs around park were no obstacles for them and lighthouse tower gave them a beautiful background to play with. For Vancouver wedding photographer this location is pure magic. It actually became my most photographed location last year and this year is no exception. Location: Lighthouse view, West Vancouver, BC.